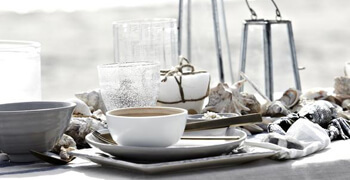 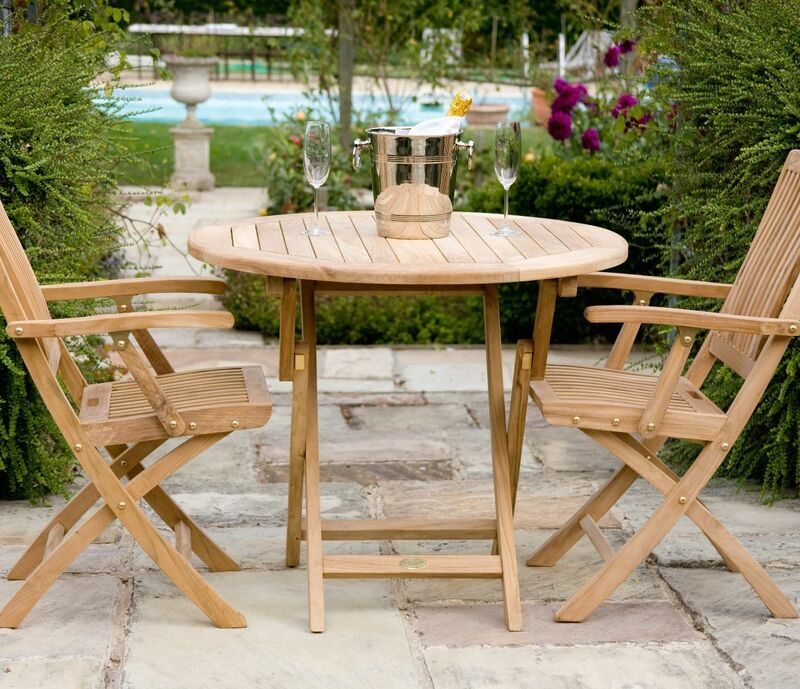 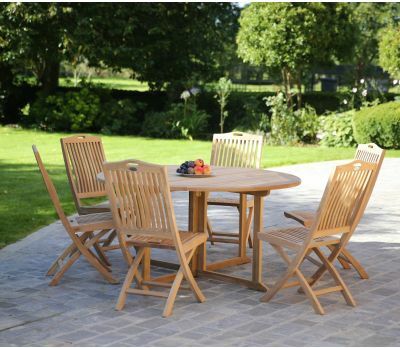 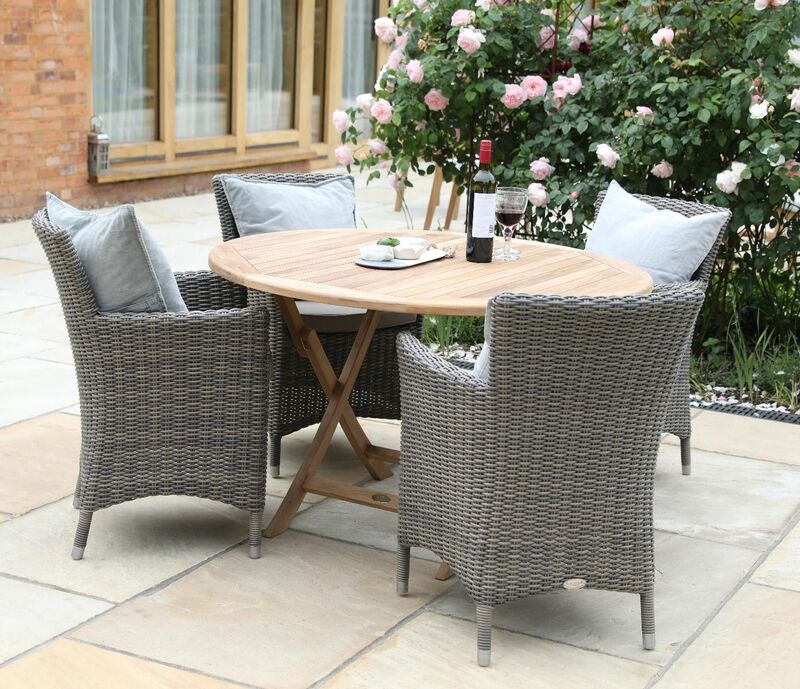 We love this practical Bristol Round Folding Table because it's just such an 'all rounder'! 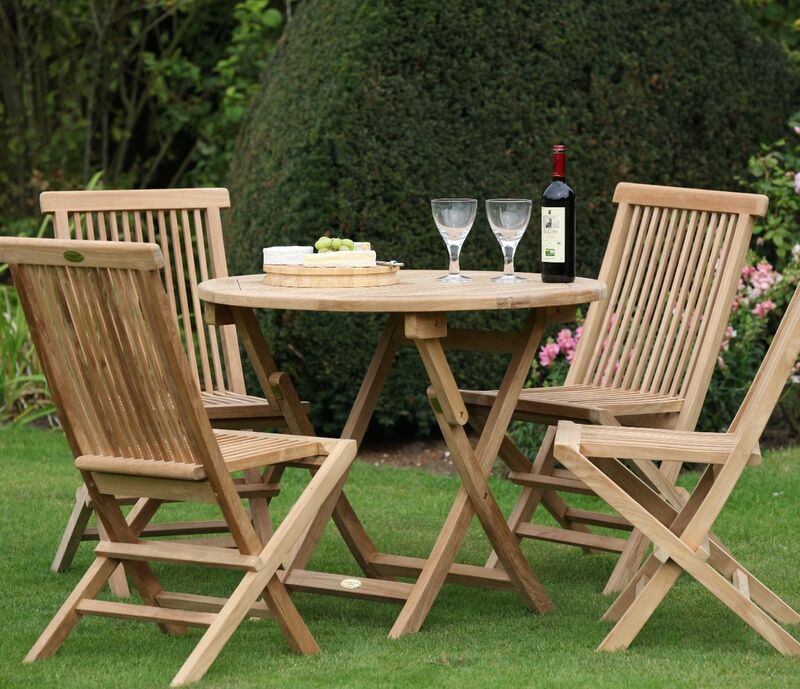 With its crossed leg design it is the ideal choice for folding away when not needed. 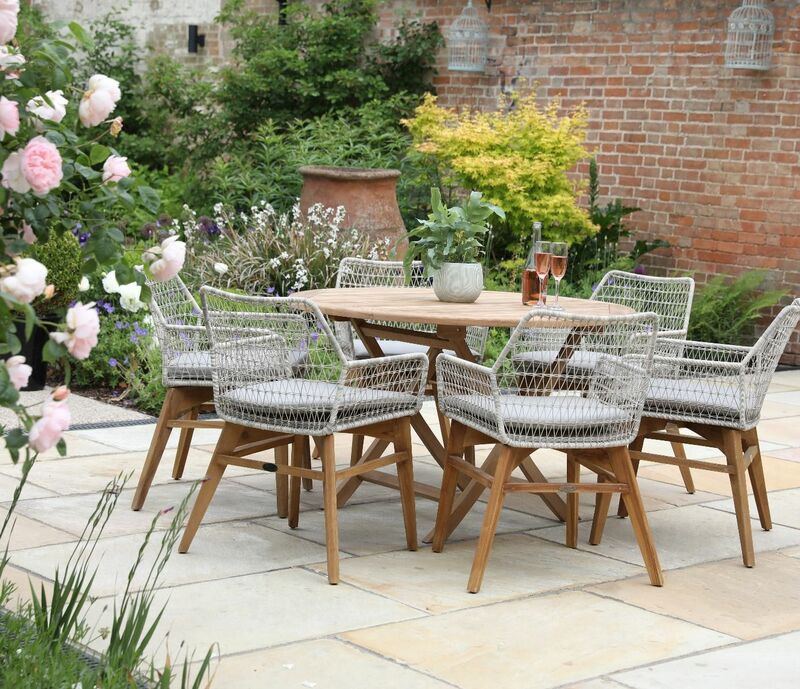 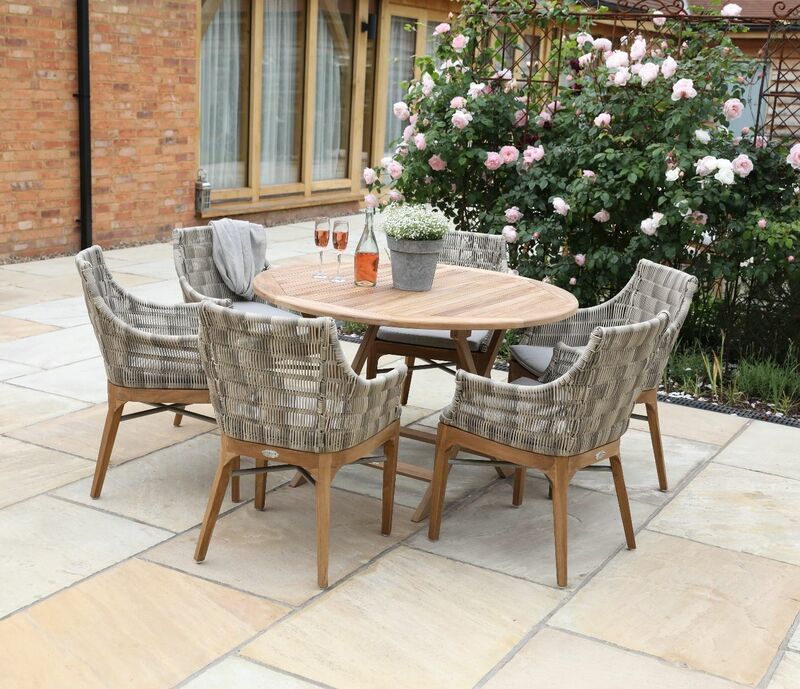 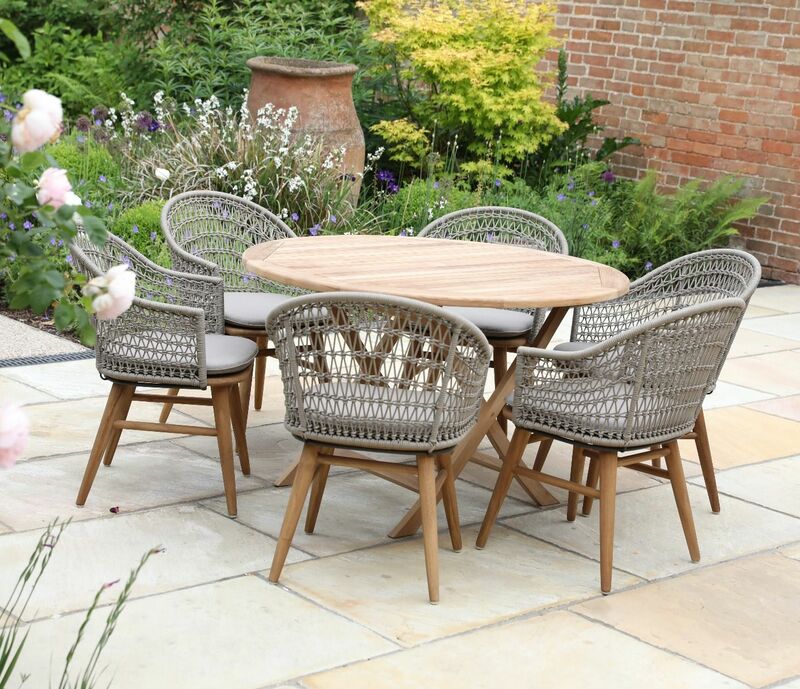 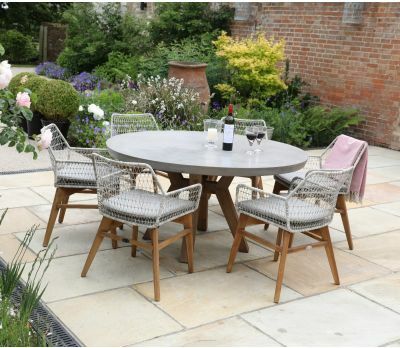 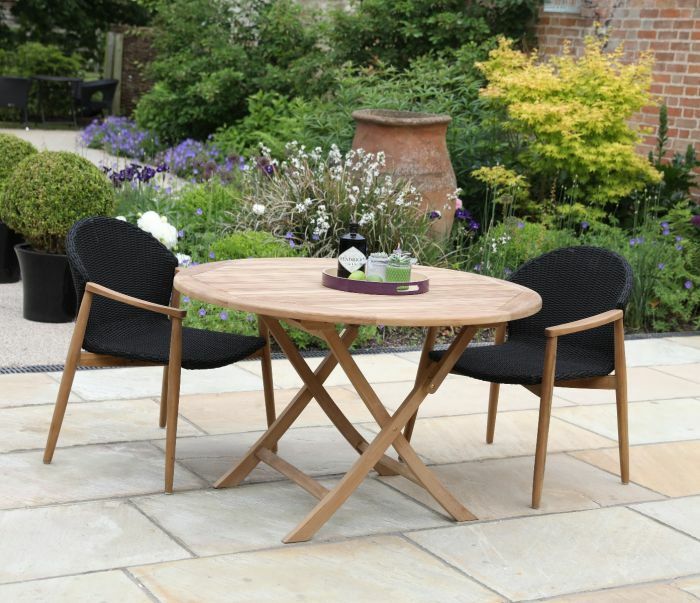 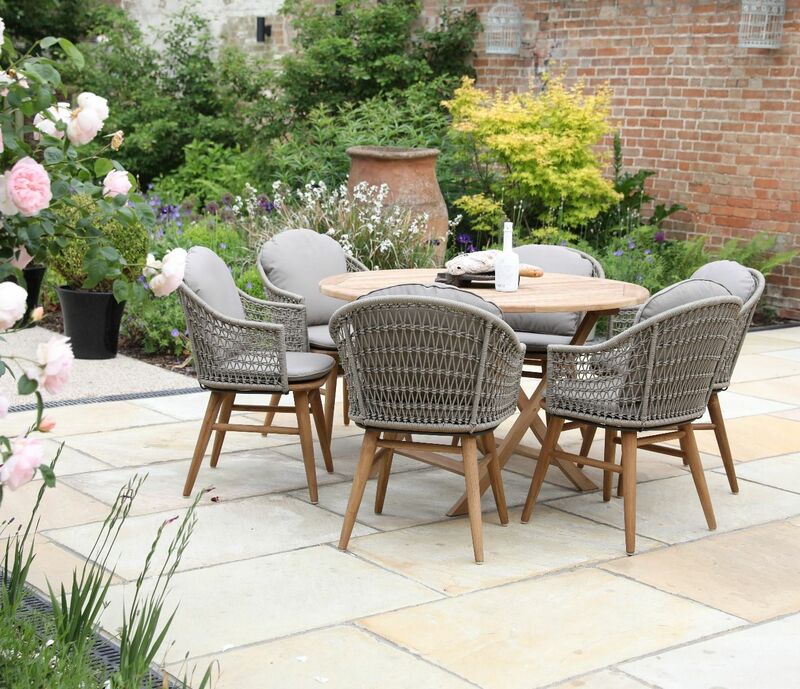 You can see from our gorgeous photo's that this table works so well with any range of chair, from the more traditional teak chairs to the contemporary Wicker garden chairs depending on the look you want to achieve. 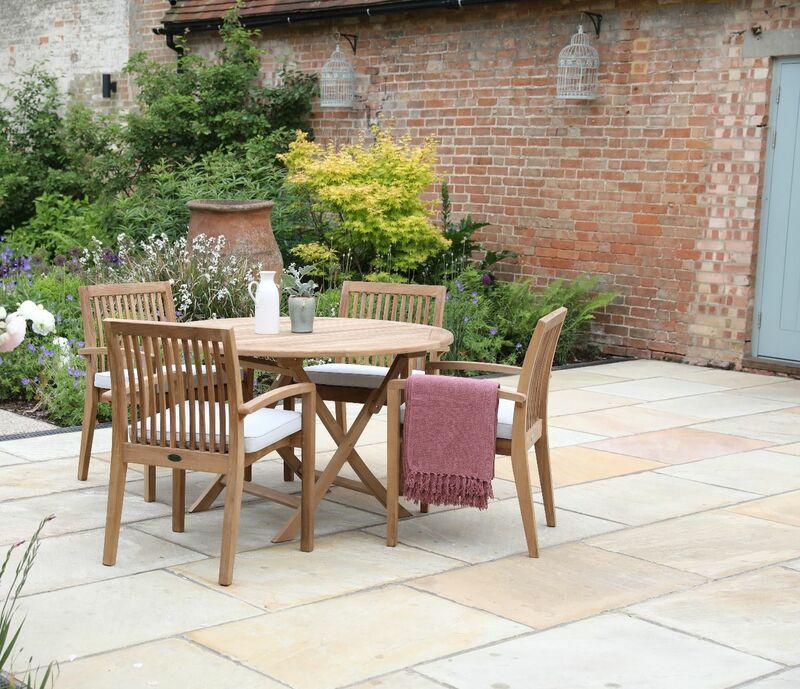 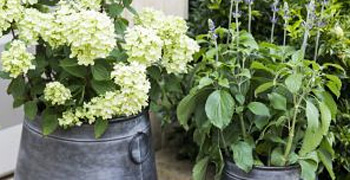 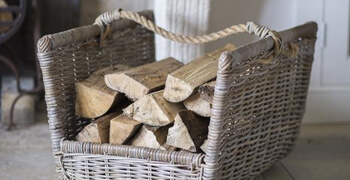 The 120 cm is the perfect size for moving around the garden to make the most of any area - at any time of the day. 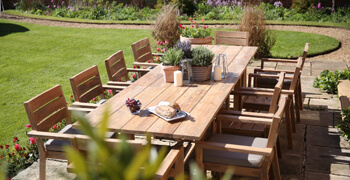 Will accommodate four to six adults (depending on the width of your chairs). 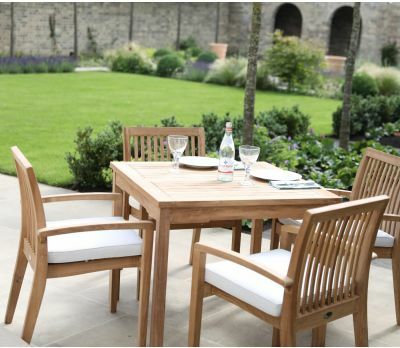 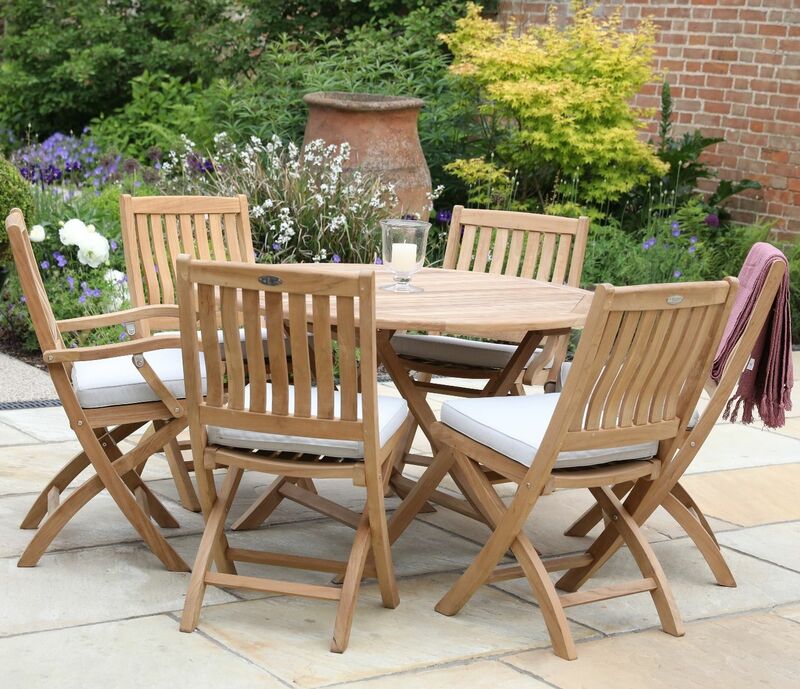 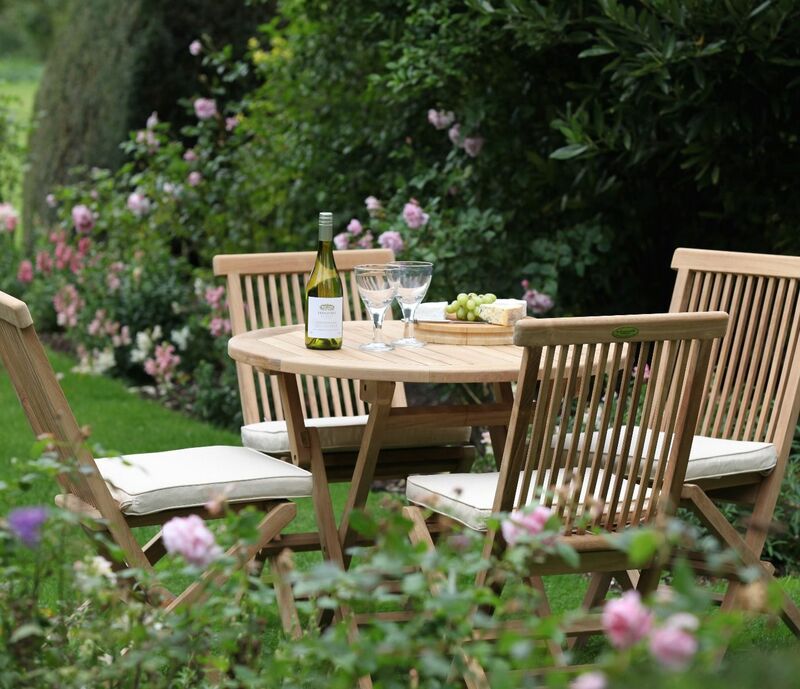 Jo Alexander garden furniture is mainly produced from plantation teak crops from government controlled forests in Java, Indonesia. 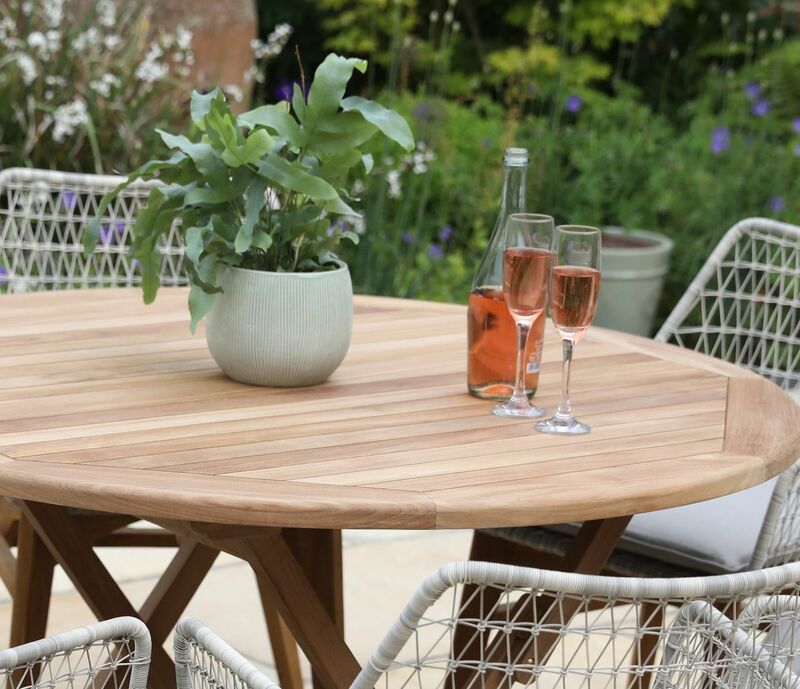 The Bristol 120cm Table arrives fine sanded.